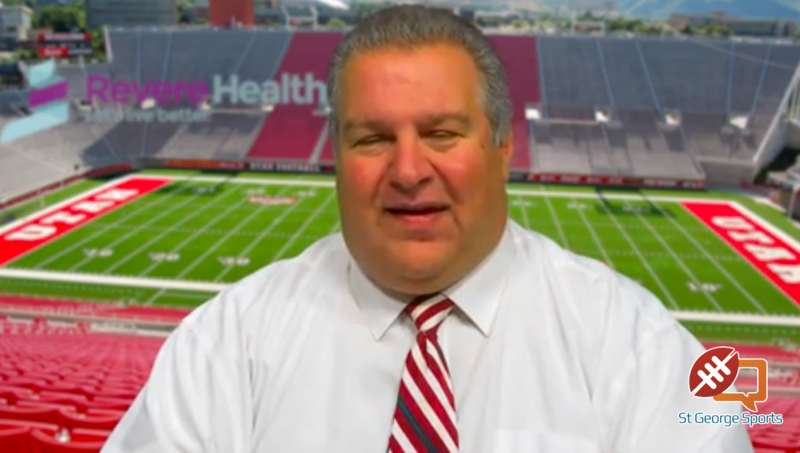 ST. GEORGE — Game film never lies. If the Dixie Rebels win the league championship, they’d better give a big “Thank you,” to videographer Dallas Griffin and Coach Dale Stott for hiring him. Dixie Rebels quarterback Misi Tupe will be playing in Saturday’s Rocky Mountain Football League championship game against the Wasatch Revolution thanks to the game film that was used to overturn a two-game suspension originally issued to the QB. Tupe was flagged and ejected from last week’s semifinal game, a 31-3 win over Arco, Idaho, when two of the officials in the game ruled he threw a punch during a melee after a fumble. 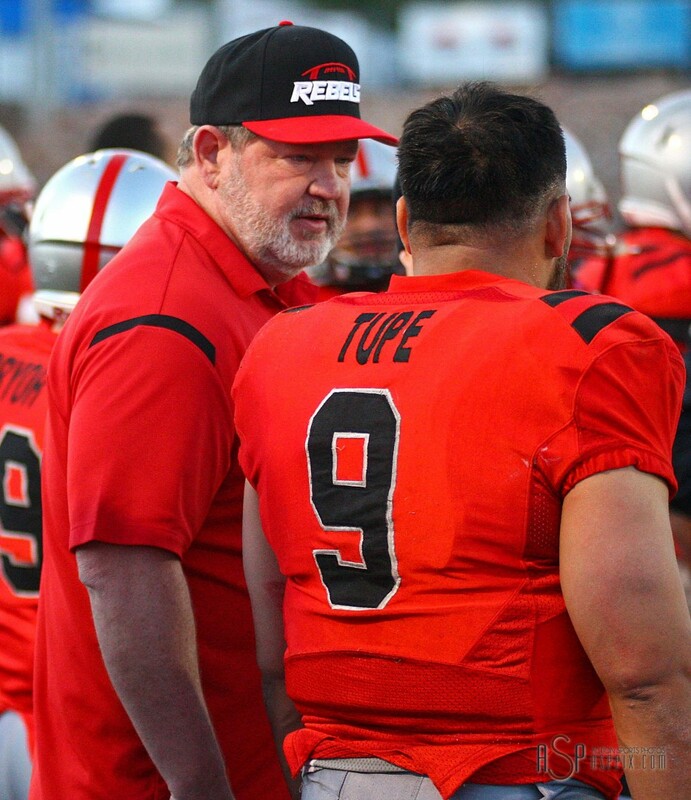 The ruling that Tupe threw a punch warrants an automatic two-game suspension under RMFL bylaws. Stott filed an appeal immediately after the game. “It was clear there was no punch and we have the film to prove it,” Stott said. Sure enough, the game film showed that Tupe’s alleged “punch” was more of a shove at chest level. Wednesday morning the league’s head of officials, Jess Peterson, officially ruled that Tupe’s suspension would be overturned. “Well, here we go. After many hours of talking this thing out, watching the clip, talking to officials from across the country and knowing no matter what we decide, 50 percent of the people are going to disagree, we have decided to waive the suspension and reduce the fine to $50. Misi is also not eligible for any of the post season awards,” Peterson wrote in his ruling that can be viewed on the league’s website. Peterson continued by saying that the only reason the Rebels had a case for appeal was that they had the proof on film. Peterson continues by saying the decision was still not an easy one. Wednesday’s decision was satisfactory to Stott and his coaching staff. Tupe, who leads the league in rushing and also had a stellar day passing against the Anarchy last week, had 321 rushing yards in the two games against the Wasatch Revolution this season. The two teams split a pair of games with Dixie winning 14-10 in St. George back in April and Wasatch taking a 27-20 overtime victory three weeks ago in Layton. Peterson did conclude by saying that Tupe will face a couple of minor sanctions for his role in the dust-up. Saturday’s RMFL title game will be at 4 p.m. at Layton Christian Academy (2352 East Highway 193 in Layton). At least one of these two teams has played in the RMFL Championship in each of the past five seasons. The Revolution won it in 2009 and Dixie took the title in 2010 and 2011. In 2011, Dixie defeated Wasatch 41-18 in the title tilt.